The unassuming strip-mall shop at 17337 Arrow Blvd., Suite 100, creates some of the most unique ice cream and paleta (Latin ice pops) flavors I’ve ever seen. Along with the usual vanilla, strawberry, cappuccino and pecan, you’ll also find pine nut, rose petal, cactus and broccoli. It’s a little like a certain fictional candy factory, only this shop’s Willy Wonka is owner Julian Vega, who runs the shop with his wife, Teresa. The tip is particularly fortuitous, since a friend and I have been on a quest for unique paleta flavors since reading David Allen’s blog post on Delicias de Michoacan last year and more recently, with that friend’s discovery of corn paletas made by Acapulco’s Ice Cream at a convenience store near her home. The shop offers more than 50 unique flavors, and Vega is still experimenting with new ones. In fact, he’s looking to create a marigold ice cream for Día de los Muertos. Vega keeps things simple, too, with a bare minimum of additives, including minimal use of added sugar. Many of the fruit flavors are sweetened (and colored) only by the fruit itself. He doesn’t scrimp either. The pistachio ice cream was packed with more pistachios — not almonds, thank you — than I’ve ever seen before. 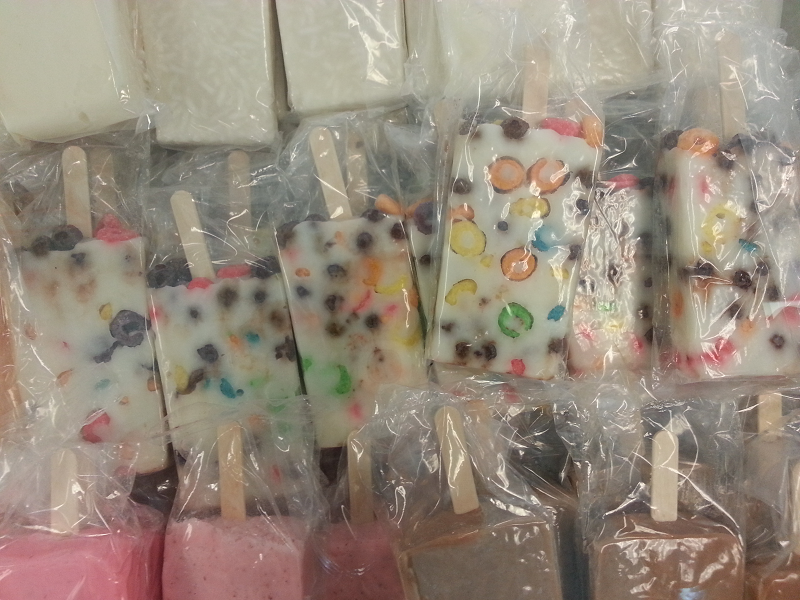 The shop has a selection of sugar-free paletas, as well as those made with almond milk. 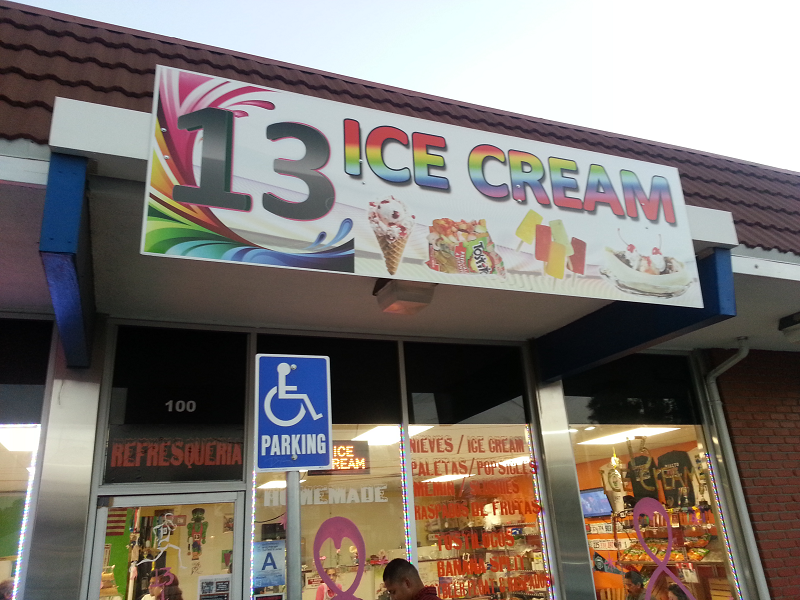 Prices are reasonable, too, with a generous single scoop of ice cream priced at $2 and paletas at $1.50. 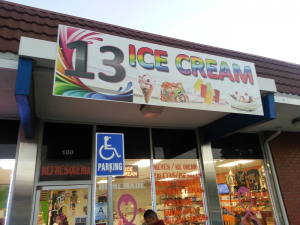 You can also get a liter of ice cream to go. The shop is open from 11 a.m. to 9 p.m. Monday through Friday, 11 a.m. to 8:30 p.m. on Saturday and 11 a.m. to 8 p.m. on Sunday. This entry was posted in Dessert, Fontana by John Plessel. Bookmark the permalink.